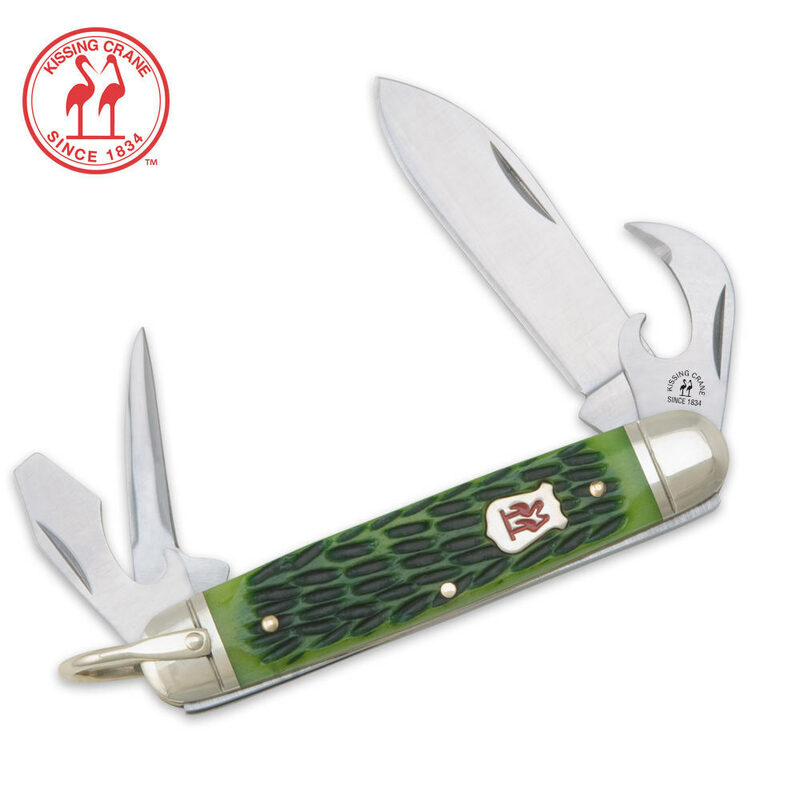 Kissing Crane Scout Pocket Knife Olive | BUDK.com - Knives & Swords At The Lowest Prices! 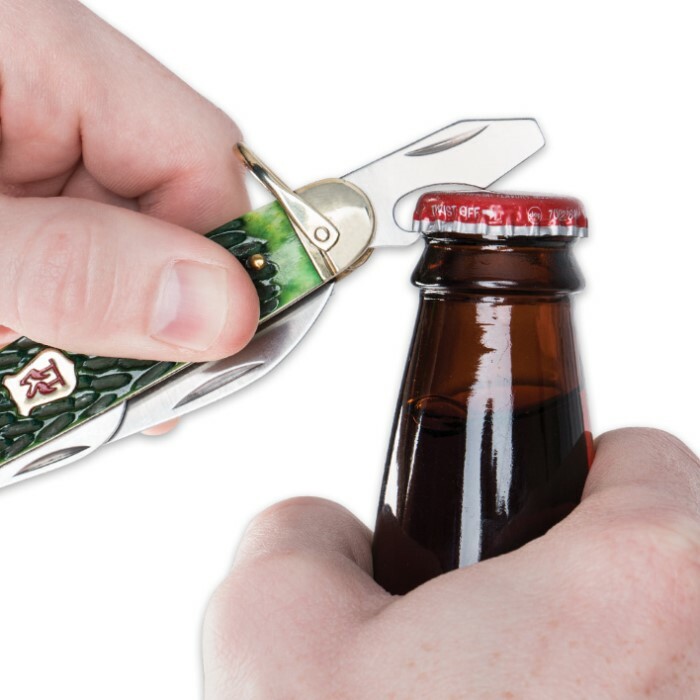 This Kissing Crane Boyscout knife is the perfect camping or hiking partner. 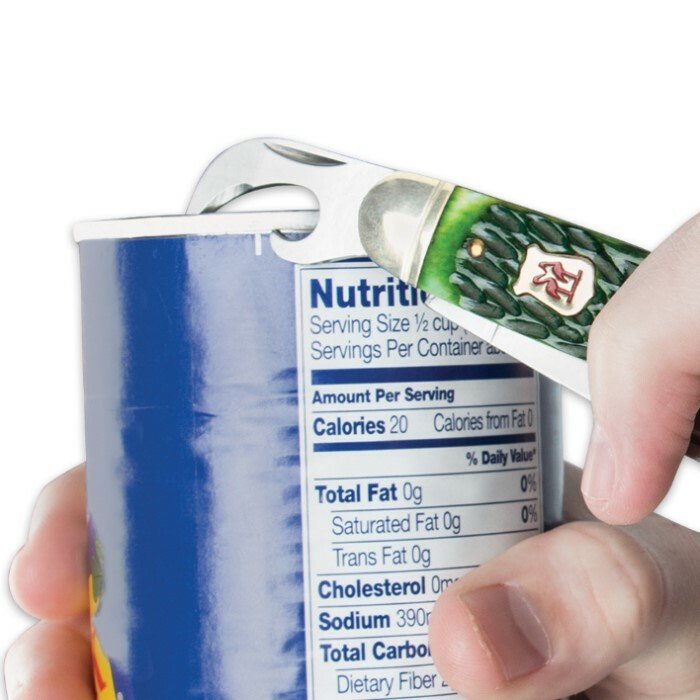 Equipped with a razor sharp 2 1/2" AUS-6 stainless steel blade, bottle opener, can opener, awl and a lanyard or clip attachment, this knife has got it all.